Width 14 ft. 0 in. Depth 14 ft. 0 in. Approx. Height 15 ft. 4 in. Looking for a unique way to store your motorcycle(s)? 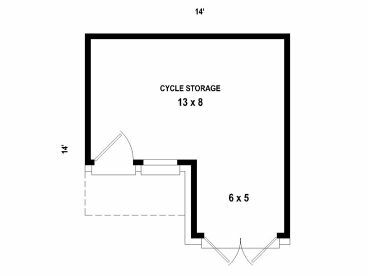 This simple outbuilding plan offers 168 square feet of usable space and makes the perfect motorcycle garage. A pair of double doors swing open making it easy to drive the cycle in and out of the garage. It also works well as a backyard storage or garden shed. A service entry provides convenience. 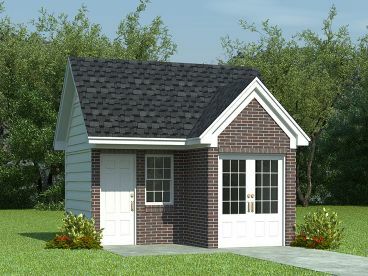 Designed with a siding and brick façade, this unique motorcycle garage plan is sure to blend nicely with many different home styles and keep your favorite bike safe from the elements when you’re not on the road. 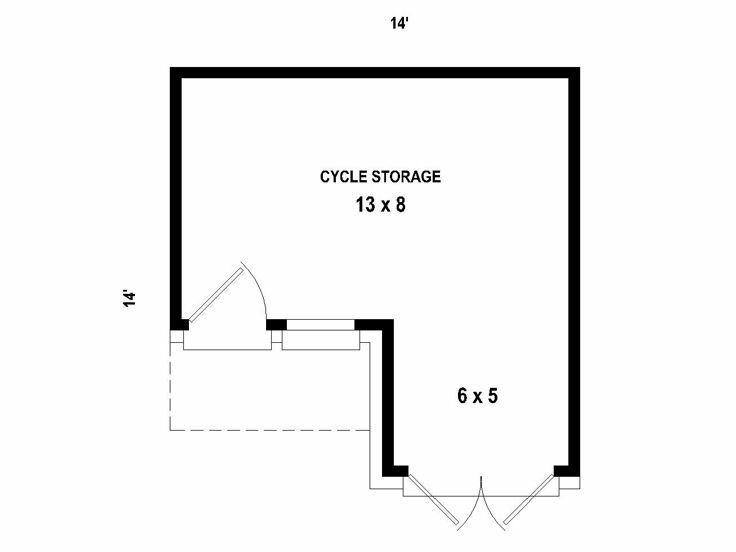 Note: Exterior wall dimensions are rounded to the nearest foot. Contact us for specific measurements.